Relaxation is the need of the times in the fast world of activity. The texts and musical compositions based on ragas which are presented in his album have been selected as a result of scientific research to offer relaxation for body mind and soul. The first song Bhajana Na Karana jane based on mishra Bhimpalas a special tradition composition for relaxation the second Sadhu apana desha nirala based on Raga Darabari and third. Shirdiwale Sai Piya based on raga todi offer total relaxation and even help one to enter into deep sleep. The fourth composition Jagadamba namostute based on Raga Bhairavi the fifth Guru Ghara aavya based on Raga Chandrakauns and the sixth Shanta Ho Shri Guru Datta based on Raga Todi help to make the mind fresh and relaxed. Composition number one two and three can be enjoyed at leisure while number four five and six are suggested fro listening is between working time. The overall effect of this musical presentation is relaxing and also uplifting the energy of the mind. It is especially effective for stress relief diabetes hypertension and heart disorders. Dr. Shri Balaji Tambe was born in India and has graduated as an engineer and Ayurvedic Doctor. He is married to Dr. Smt. Veena Tambe. He is the founder and source of Inspiration of Atamasantulana village the largest internationally renowned Ayurvedic medical centre in India. Chronic diseases such as diabetes high blood pressure heart ailments asthma, cancer, etc. are successfully treated in the centre. Dr. Shri Balaji Tambe is a gifted versatile artist whose concerts in India and Europe always attract a large number of people. 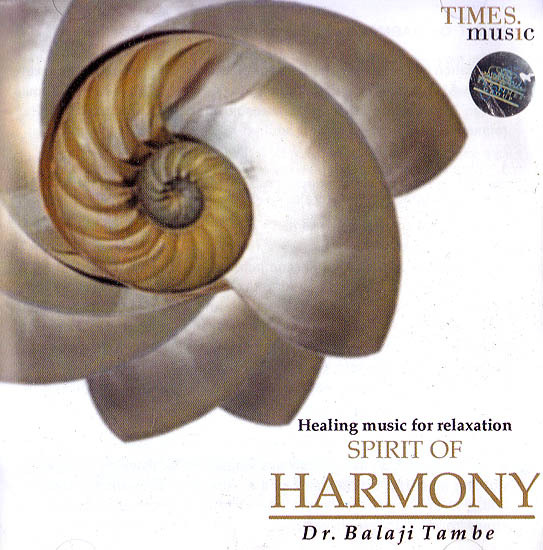 Throughout the years in which Dr. Shri Balaji Tambe has been practicing meditation and working as an Ayurvedic doctor the music has emerged as an expression of his inner self. Later on this music was recorded and used for research purposes. The scope of Ayurvedic therapies is greatly enhanced by the focused use of music which gives remarkable healing results. Relaxation is the need of the times in this fast world of activity. The texts and musical compositions based on ragas which are presented in this album have been selected as a result of scientific research to offer relaxation for body mind and soul.